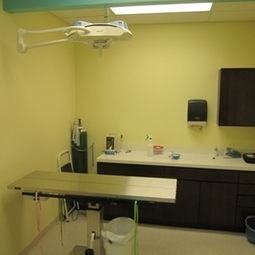 Our surgical suite provides for the performance of a wide variety of surgical procedures, including elective procedures such as spay, neuter, and declaw. Major abdominal surgery procedures: tumor removals, bladder stone surgery, and orthopedic surgery (including but not limited to cruciate ligament repair and fracture repair). Call us today to ask about all of the surgical procedures that we perform. We also have the ability to perform in-house lab work prior to surgery to minimize any anesthetic complications. Our pre-anesthetic bloodwork allows us to test the function of the internal organs to ensure that your pet is healthy enough for surgery.